Get the best value for your money and choose the right ring for your taste using these tips on how to buy a class ring. Read on for relevant information that will help you make the best decision! 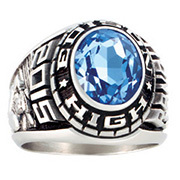 The first step in how to buy a high school class ring that meets your needs is to select the style. The two main styles are traditional and fashion. Traditional class rings offer side emblems and a signet style top. These are the most commonly chosen option. Fashion rings feature a stone, high school name, and sleek sides. Fashion rings are a modern take on the class ring and are very popular with more recent graduates. The possibilities for styles are endless within these two camps. From elegant and extravagant rings to more subdued options, there is a look for even the most finicky high school student. Once you have chosen the right ring for you, the next step is to personalize it. 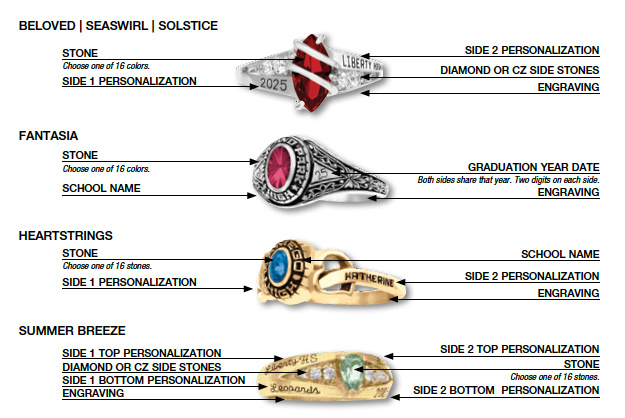 There are many ways to personalize a class ring. Symbolize who you are, your interests and accomplishments. 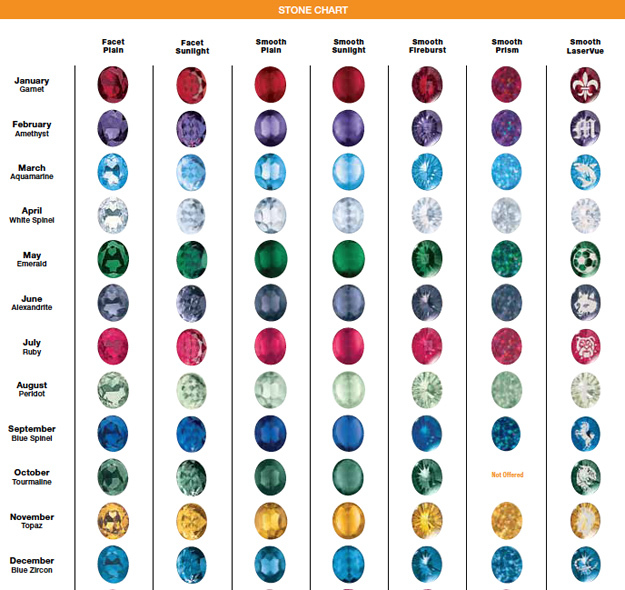 Class rings offer your choice of stone styles and colors, metal types, emblems, and engravings. Traditionalists favor the smooth plain stone styles. Can't fit all of your activities on the ring? Try stone encrusting, which features a design on top of the stone. Class rings are available in a variety of metals, including stainless steel alloy, silver, white gold and yellow gold. Hundreds of side emblems encompass sports, hobbies, music, art, and other pastimes and activities. No matter what you are looking to create, most class rings have the range of options you need to make a bold statement about your special time in high school. Finding the right ring is easy, but holding onto it forever might not always be feasible. If you have lost your class ring, you can replace it. Unless the ring was produced in the last ten years, chances are that the exact ring is no longer available. But don't despair, many of the class rings we sell are available with back year dates. A back year date is any date prior to the current year. 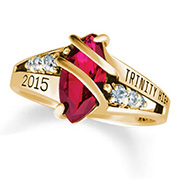 Alumni can purchase a class ring at any time, as long as the school is still in existence. If the school has closed, we cannot provide you with a ring WITHOUT a custom wording fee of $99. For rings for schools that no longer exist, please choose from the boys' Medalist or Triumph, or girls' Stylist or Celebrity. All four designer class rings offer custom wording around the stone. For the homeschooled student, class rings may seem like a privilege they are excluded from. No longer! Homeschoolers rejoice! You can now find class rings for homeschoolers in a variety of styles. These rings were once reserved only for public and private school students, but they have since evolved to include all students. Rings for home school feature wording that displays your unique achievements during your school years. All of our class rings may be engraved with words such as HOME SCHOOL or HOME EDUCATION. Choose side emblems, designs under the stone, and engravings just like the rings available on campus.